You must make reservations at least 5 minutes in advance of the time at La Casa Sena. Validated parking is available in the public lot behind the restaurant on Nusbaum Street. Looking for live entertainment? Join us in La Cantina and indulge in the best of Broadway, jazz and much more Wednesday through Sunday, 6pm-close! Please inquire about our offsite catering options. La Casa Sena is located in the heart of Old Santa Fe in the historic Sena Plaza. Featuring innovative New American West cuisine, 1000+ selection wine list and a spectacular and inviting outdoor patio. 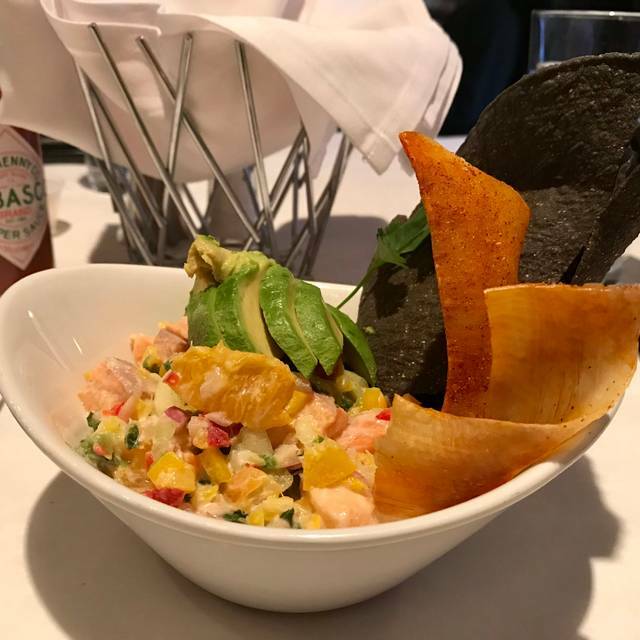 La Casa Sena is one of Santa Fe's most popular restaurants. Patio and La Cantina seating for online reservations must be requested via telephone. 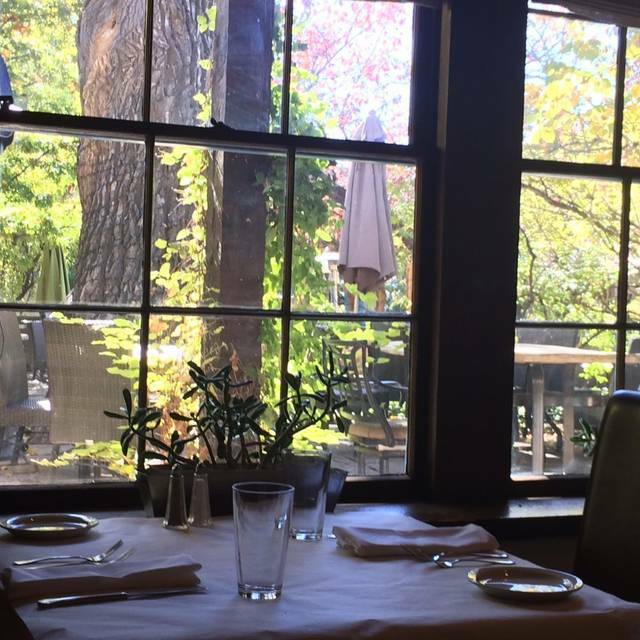 We were seated at a window table overlooking the courtyard, creating a very cozy and romantic atmosphere. 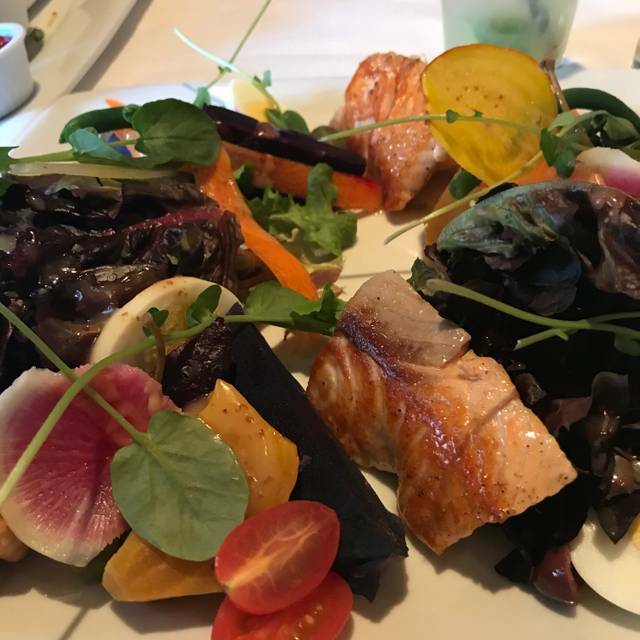 My wife had a green salad with perfectly cooked salmon while I had the lamb and a beet salad, both very enjoyable. The wine list is extensive and medium pricey with a very broad choice of wines, even with wines from Lebanon. A very minor quibble, I just wish they offered a larger selection of regional wines. They did have several New Mexico wines. 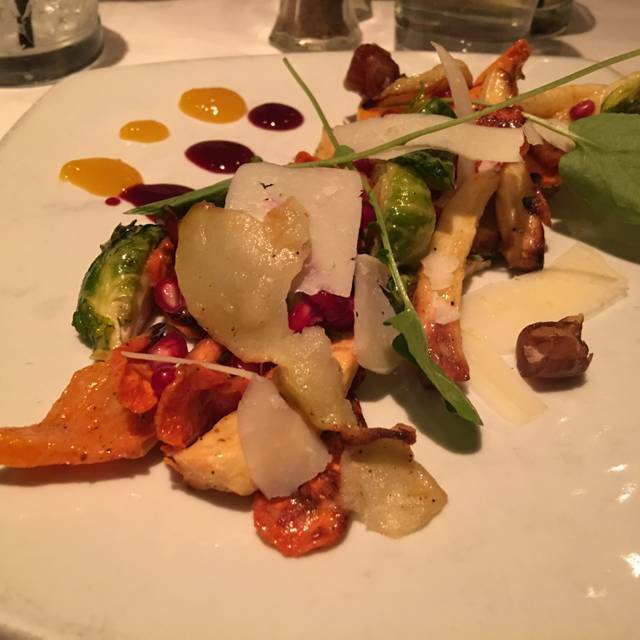 Overall a wonderful and enjoyable meal, as usual for a wine spectator awarded restaurant. Love this place whenever I'm in Santa Fe. The outdoor dining is fabulous when weather permits. Frog leg's appetizers were very tough and little flavored. Caesar salad was very good, house made croutons were best thing either of us had. Osso Busco was tough, hadn't been cooked long and slow enough, no marrow at all. Colorado lamb was very good. Very spotty, Jerry Peters needs to take a look at it. Although the food was actually pretty good, the poor service and terrible drinks left me with a bad taste in my mouth. I would not recommend La Casa Sena. Very nice food and great place for lunch. Good reviews caused us to book dinner at La Casa Sena. We dined the previous evening at Rio Chama, by coincidence under the same ownership. The menus were similar. Rio Chama, an upscale bistro, served an excellent roast beef and we were very pleased with our meal. At Casa Sena, we considered the meal to be the same quality (or slightly less) & service but at a higher price. I live in Santa Fe and I forget about La Casa Sena. I should not. Had a wonderful lunch, great quiet and cosy table. A salad nicoise like no other - definitely not traditional - but delicious all the same and beautiful!!! The evening was fantastic and our guests were very happy. The singer was pierceringly hurtfully loud, horrible voice and screeched at top of her lungs. I have been goi g there for 30 yrs but it appeared dirty, unkept, salmon was undercooked although I asked for medium. It needs a complete overhaul not like it was in past. 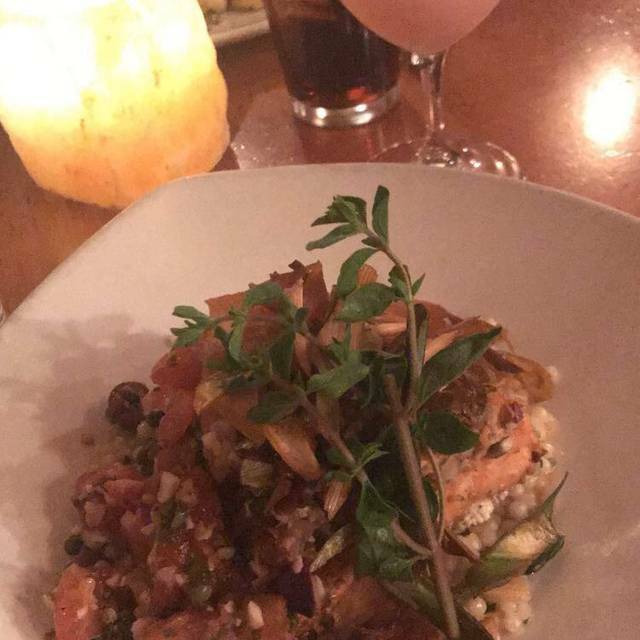 Wonderful food, service and ambiance, as always! Our favorite for lunch and entertaining guests. Absolutely beautiful restaurant inside and it must be awesome in season when the patio is open! We had a fantastic dinner. Started with a Caesar salad which was very good but I would’ve liked a bit more dressing ( I should have asked because they were incredibly accommodating). I had the sea bass for dinner which was perfectly cooked and delicious. 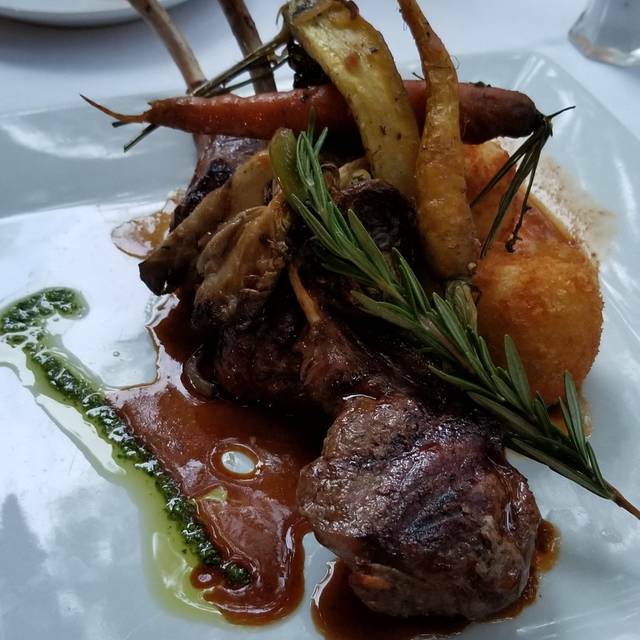 My husband had the lamb and we both thought it was probably the best lamb we’ve ever had. Perfectly cooked and so tender with delicious veggies . Would definitely visit again!! We went to Casa Sena as it was highly recommended by two people that live in Albuquerque but that go often to Santa Fe. I am glad we booked this restaurant as it was the best food we had in Santa Fe. I wish we had booked it for our Anniversary day instead of our last night in Santa Fe. 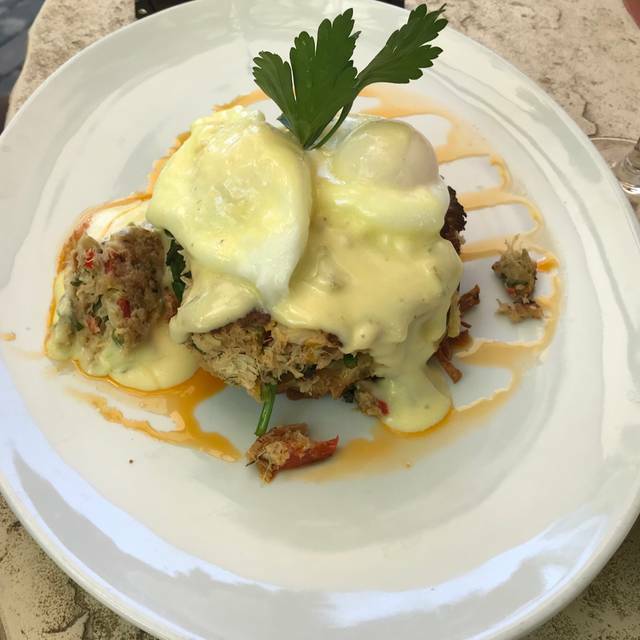 The food was delicious, the service was excellent, the reservation process and modification was seamless. They even had wine varieties that we had never tried. This was definitely a treat. Dinner was absolutely delicious.. divine .. be aware, there are two parts to casa sena. One the elegant high end restaurant the other the fun energetic cantina. Both have the same fantastic menu, the cantina has singing wait staff.. show tunes anyone? Definitely worth every penny of high-end dining! Overall a disappointing experience. The food and service have declined from the days when this was one of our favorite places in Santa Fe. Multiple flavor profiles in one dish is a disaster. Uninspired food. Left most on plate and no comment from server, no asking if we weren’t happy. Over-rated. Stuffy. Would not go back. Had a delicious trout dish and super wine. Lovely atmosphere, but they put us in a small room where you could hear everyone’s conversation. Would have preferred the open room. Absolutely loved the food and the live music was awesome! Definitely will be back. Such a fun night! So entertaining! Food was delicious, wine list was extensive and the servers were so talented! Friends from out of town here .... absolutely divine! Quiet corner on a Sunday evening. Server was excellent. It happened to be a "restaurant week" special, so we had a three course meal for $45 and wines were half-price bottles! Wow! Every bite was delicious. Great food and wonderful entertainment in the cantina area where the staff sings with the house pianist. downside was that someone from the back kept bringing out our dishes when singers were singing with the lights down and we were all watching, so our food cooled down quite a bit. The waiter also had exposed chest hair which was unappetizing and strange to see in this kind of a upscale restaurant. Everything else was great! Restaurant Week. Excellent meal and service. The three live singing entertainers were all excellent, presenting varied interpretations of varied and appropriate songs. It was stimulating, but not intrusive, even though we were seated at a close table to the "stage" and the piano. It was a very pleasant evening and very worthwhile. We are from Austin, TX., and this was our third time dining here. It will remain on our list the next time we visit Santa Fe. The food was outstanding. We had a memorable experience. Lovely, cozy restaurant. Great meal & service. We have eaten both lunch and dinner at La Casa Sena. They offer a small but excellent menu, wonderful specials that are worth considering, and knowledgeable, pleasant, engaged staff. It's in a cool little corner on Palace Avenue. We will definitely return! Well, there are two restaurants with the same name. One is the cantina, which has the piano/singing. The other side is super quiet. I didn’t know I needed to book the cantina— not sure it’s very clear on OpenTable that there is a difference. I asked if I could switch my reservation from the dining room to the music side and the hostess said “no”. It was my birthday, and she still said “no”, so I sent my husband over, and she told him “yes”! What the heck?! So, we waited five minutes, but had a table by the window and a great server. As we sat there, there were several empty tables around us— it wasn’t full at any time over the next hour.. so... happy to get my way in the end, but was nearly a sad birthday night. The cantina is a great atmosphere. Music is terrific, both piano and singers: waitresses. It was excellent. It more than met my expectations. Delicious southwestern cuisine in an incredilbe casa atmosphere with top class santa fe service ! Food was outstanding. Fish and chips cooked to perfection. Building had the old world charm of Santa Fe. Service a bit on the un-attentive side. Lovely restaurant in the heart of Santa Fe. It's a bit pricey, but not exorbitant. We sampled several of the appetizers and split the enchilada plate. The service was a bit slow but serviceable. My only complaint was that several menu items were unavailable. Other than that, we thoroughly enjoyed our experience. Lovely dinner......loved the ahi tuna and the elk. 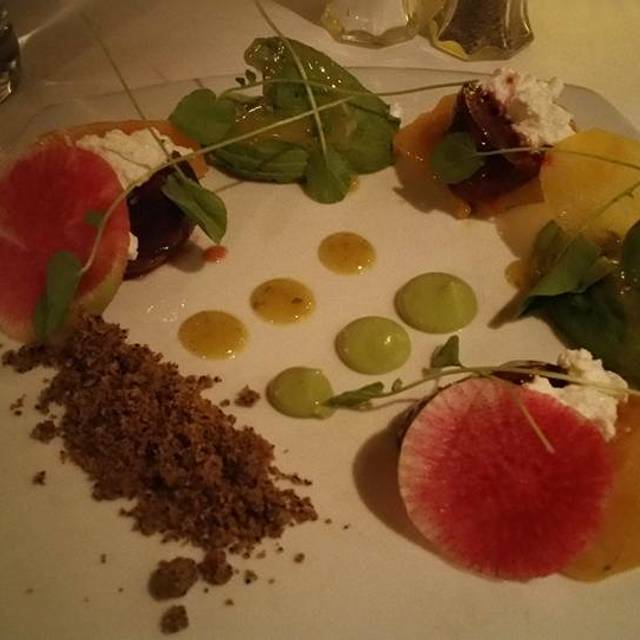 Husband enjoyed the beet salad and the pumpkin dessert was outstanding. We had a lovely dinner. Great food, wine, ambience and service. A premier location in historic Santa Fe. 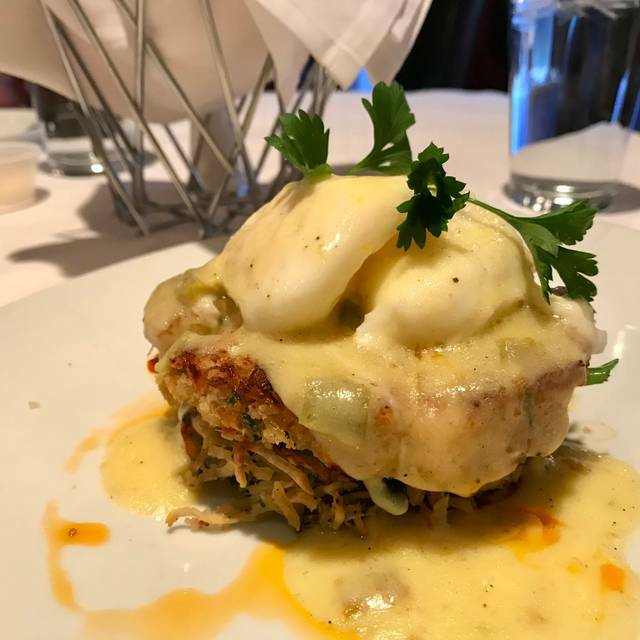 Masterfully prepare entrees, professional service, and classic ambiance.